I have a couple of axes that are both hafted using wedges and I can't complain about the durability. 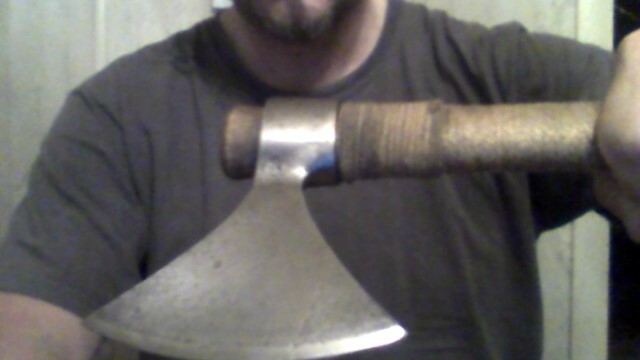 However, I just acquired a battle ready beard axe head and I have been studying ways of hafting it. So I looked at lots of pictures of Viking period Norse and Slavic axes with preserved handles on the Unimus website in Norway and elsewhere and noticed that while a lot of surviving Norse axes of the Viking period are indeed wedged, some of them have a handle that seems to be slightly thinner than the eye along its entire length except at the top where it flares out slightly. 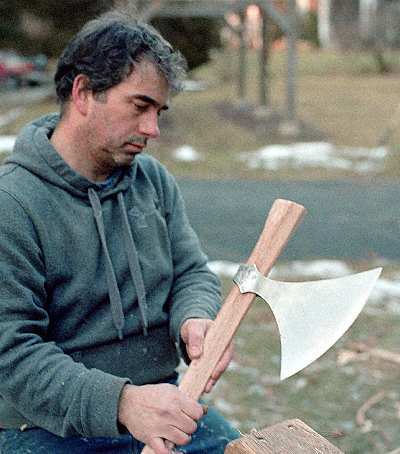 The axe head was then slipped onto the handle bottom to top as it were and driven onto the flared handle top by hitting the top of the handle with a mallet until the axe head stuck on good and tight. This method seems better than using wedges since the head is not likely to fly off the handle. However, since I'll be using this axe a lot to push down spears I'm worried that the axe head might eventually slide down the handle. I'm not sure that's such a bad thing though, after all that is better than the head coming off and injuring into somebody (which I have seen a poorly wedge fastened axe head do). That's another thing I'm nervous about, a gap at the lower end of the eye. I'll just have to shape the upper end of the haft very carefully. 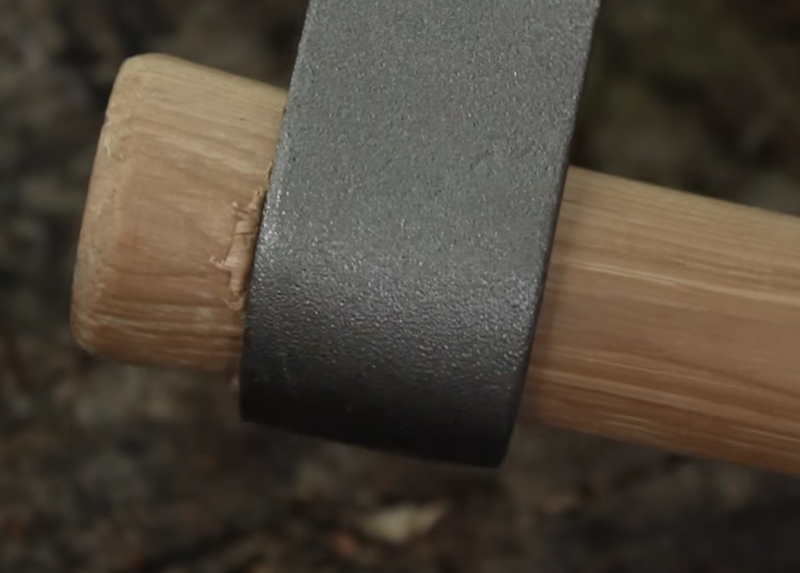 I don't expect it has to taper very much for the axe head not to slip off the end. Somebody in another thread mentioned putting a thin bit of leather between the haft and the inside of the eye before banging the haft in place with a mallet and then trimming off the excess. Not sure I want to try that yet.